GB Photography » There, I fixed it! How to do street repair in our city: just put up a sign that the sidewalk is damaged! 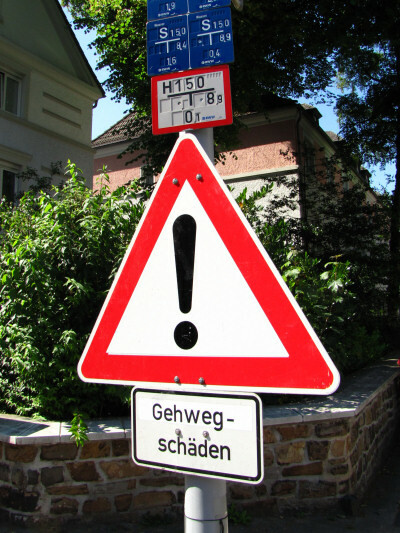 Additional shenanigans: those two signs were relocated to a different signpost about three meters next to this one after one week. You can’t make this stuff up, that’s how this city government rolls!